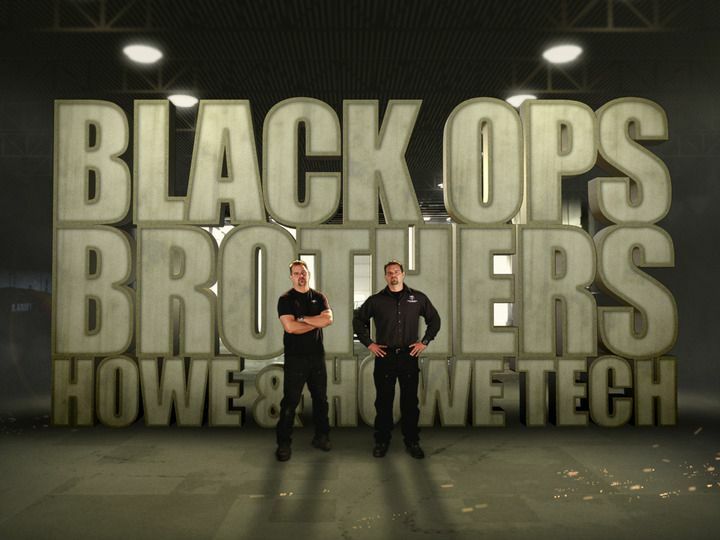 Black Ops Brothers: Howe & Howe Tech was a Discovery Channel program that enjoyed a two-season run, ending in 2011. 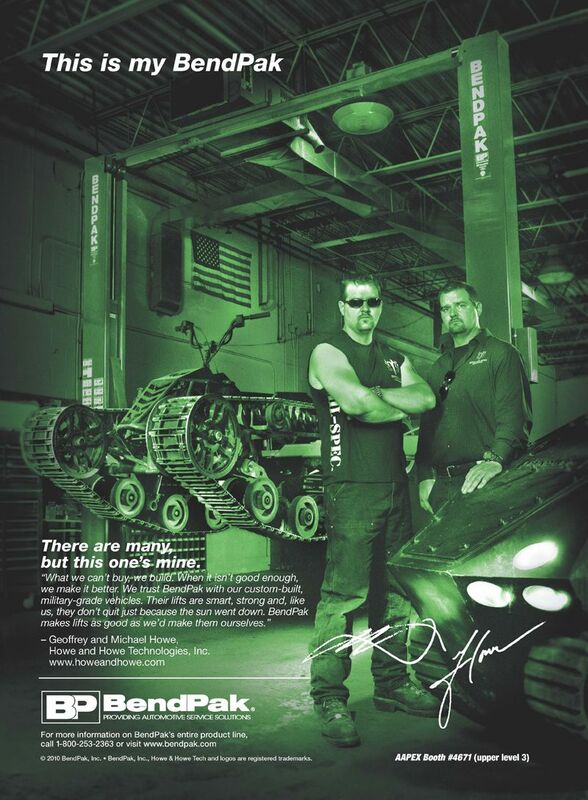 On the show, co-stars Geoffrey and Mike Howe fabricated some of the coolest military-grade machinery ever seen on wheels. They chose BendPak as their choice of automotive hoist, as seen early in the program when they moved into a new manufacturing facility with the capacity to take their engineering marvels to the next level. What we can’t buy, we build. When it isn’t good enough, we make it better. We trust BendPak with our custom-built, military-grade vehicles. Their hoists are smart, strong and, like us, they don’t quit just because the sun went down. BendPak makes hoists as good as we’d make them ourselves. These brothers and their hired fabricators are the best in the tech business. They combine advanced technologies with good, old-fashioned welding skill. The results are tanks, robotic fire fighters and other manned/unmanned vehicles fit for the military and other public entities. Some of their vehicles have even appeared on the set of Fast and Furious 8. Their tanks and robotic vehicles are not only military-grade, they’re often billed as “luxury” or “super.” In other words, Howe and Howe products look as stunning as they perform. Without innovators like the Howe brothers, the automotive industry wouldn’t be the same. Beyond the cool factor of a Ripchair, Howe and Howe’s “extreme duty track chair,” these technologies will reshape everything from search and rescue and firefighting to combat and home front defense strategies. We’re honored to offer a car hoist or two toward their goals. Their business, brand and legacy is stronger than ever.